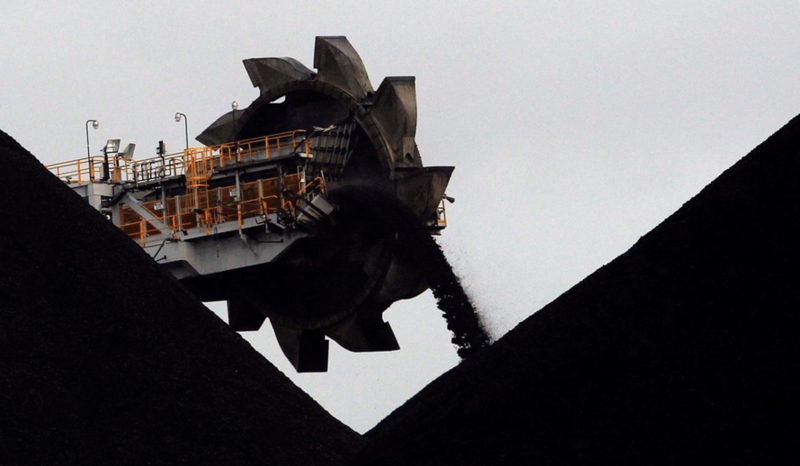 Just days after it warned its citizens against traveling to New Zealand, Beijing has reportedly cracked down on imports of coal from Australia, cutting off the country's miners from their biggest export market and threatening the island nation's economy at a time when it and its fellow "Five Eyes" members who have sided with the US by blocking or banning Huawei's 5G network technology. Billionaire political donor Huang Xiangmo, Beijing's former top lobbyist/fixer in Australia has just had his long-standing application for Aussie citizenship rejected and his permanent residency cancelled while travelling overseas, leaving him stranded and locked out of his USD10m Sydney mansion. The citizenship application refusal apparently comes on both character grounds and concerns about the reliability of his answers in interviews and correspondence with authorities including ASIO, the Australian intelligence service. Note that Mr. Huang has donated AUD2.7m to both major political parties over the last five years and also funds former foreign minister Bob Carr’s Sydney think tank - Carr himself having made several recent public statements arguing for Australia to side with China due to their economic links. Five harbors overseen by Dalian customs - Dalian, Bayuquan, Panjin, Dandong and Beiliang - will not allow Australian coal to clear through customs, said the official. Coal imports from Russia and Indonesia will not be affected. "I’m aware of unconfirmed and unsourced media reports and have asked our Ambassador in Beijing to urgently clarify their veracity," said Australia’s Minister for Trade Simon Birmingham. "We continue to engage closely with industry on matters of market access...China is a valued partner of Australia and we trust that our free trade agreement commitments to each other will continue to be honored." It would be hard to understate how big of a problem this is for Australia. The ramifications will be felt, not only by the country's miners, but by the broader Australian economy, and as economist Robert Rennie notes, a ban would have a major impact on Australian exports as 22% of Australian coking coal exports in 2018 went to China (39mt). 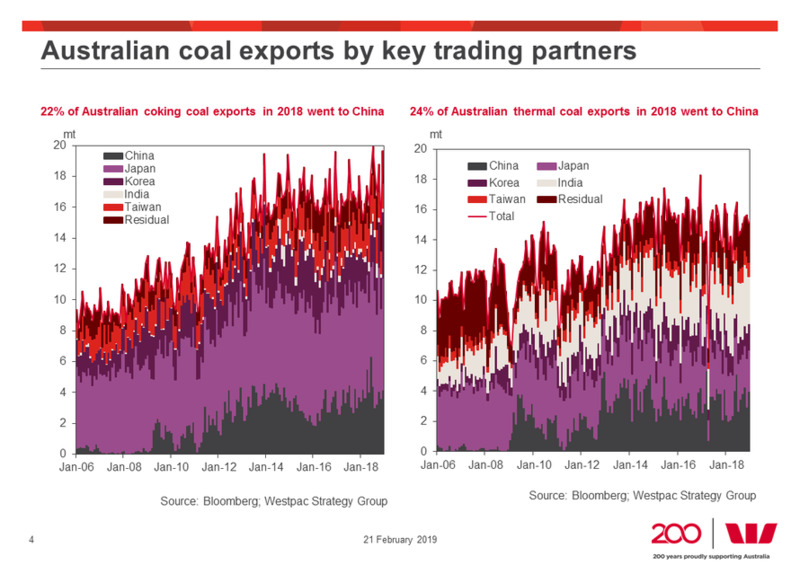 24% of Australian thermal coal exports in 2018 went to China (49mt). ... while the Chinese Yuan dropped as well, which prior to the report had hit a 7 month high. Meanwhile, shares of Chinese coal miners climbed. Which brings us to our next point. Aside from showing the international community what they stand to lose if they side with the US in the dispute over Huawei (the DOJ recently filed two criminal indictments against the company alleging both IP theft and sanctions violations, and the US has been pressing its allies to ban Huawei 5G network equipment over security concerns), Beijing may have an ulterior motive in cracking down on coal imports: Support domestic prices. As Reuters adds, Beijing has been trying to restrict imports of coal more generally to support domestic prices. A Beijing-based coal trader said Dalian had cleared about 6 million tonnes of coal in January that had been delayed since late 2018 as China slowed customs clearance to curb imports. The delayed cargoes would not be included in the 12 million tonnes under the 2019 quota, he added, citing customs information. Dalian handles both thermal and coking coal imports but the clamp down is expected to have a bigger impact on coking coal, used in steel making, than thermal coal, used to generate electricity. Spot Australian coking coal at the northern Chinese port of Jingtang is 200 yuan ($29.85) cheaper per tonne than domestic prices, according to data tracked by Orient Futures. The price difference for thermal coal is about the same. "It is hard to find a replacement for Australian coking coal since its sulfur content is very low," said a purchasing manager at a large plant in Hebei province that produces coke, used in the steelmaking process, from coking coal. "Current inventory at ports should be sufficient to support usage for one or two months, but it could be a problem in the long term, especially if other ports also tighten imports," he added. So far, at least, the ban has apparently had the desired effect. Diplomats in Canberra don't know what the hell is going on. The Aussie is sliding, as are shares of the country's miners. Soon enough, we will probably hear from economists and maybe even the RBA for an analysis of what the impact might be on Australian GDP. So will Australia capitulate on its decision to ban Huawei from building a 5G network in the country on national security grounds. Given Germany and the UK's decisions to begrudgingly allow Huawei access following demands from their telecoms industries, and with the threat of losing one of its biggest trading partners, it at least has a convenient excuse.